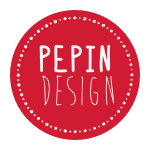 Pepin Design is the creation of Pip Anderson from New Zealand. The unique Pepin style originates from Pip’s love of design, print, and colour, and reflects her interest in texture and recycling. 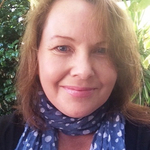 Pip began selling her greeting cards and stamp prints at craft markets around Canterbury in 2012. What started as a fun way to indulge her creative side soon snowballed into a thriving home business, filling the space that her family used to call the dining room with an organised riot of hues, shapes, and materials. All Pepin’s products are handmade with love and a steady supply of espresso. We hope you enjoy looking as much as we enjoy creating!